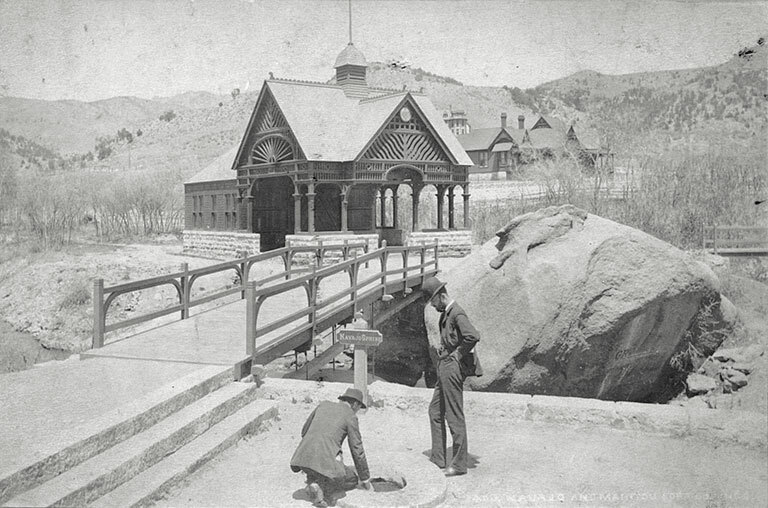 Bubbling up from the depths of Earth, minerals in this natural soda spring created a large basin or pool, making this a popular stopping place for American Indian tribes and early explorers. 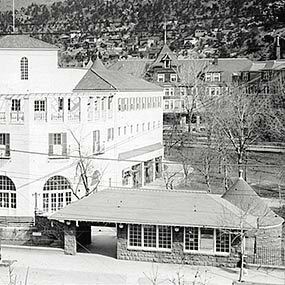 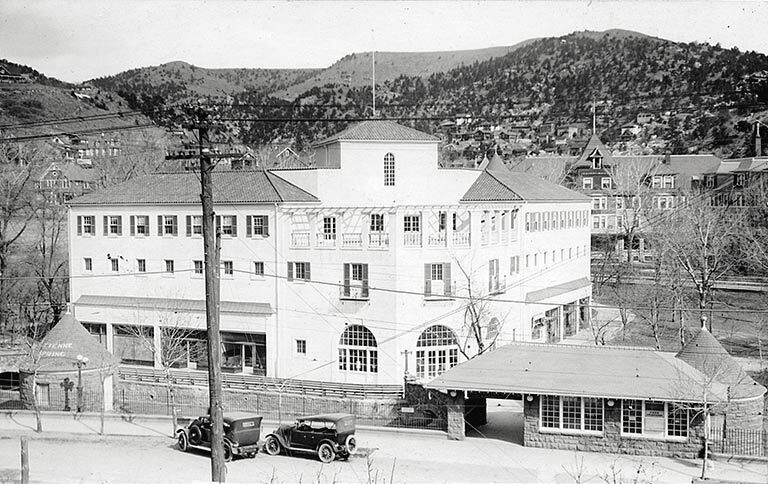 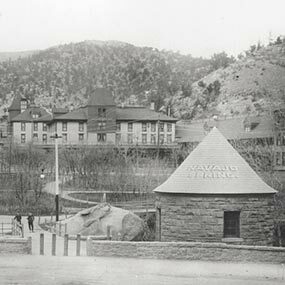 One of the earliest known photographs of Manitou Springs is of Navajo Spring: the water ran from the basin into Fountain Creek forming a large deposit, or flowstone, of minerals. 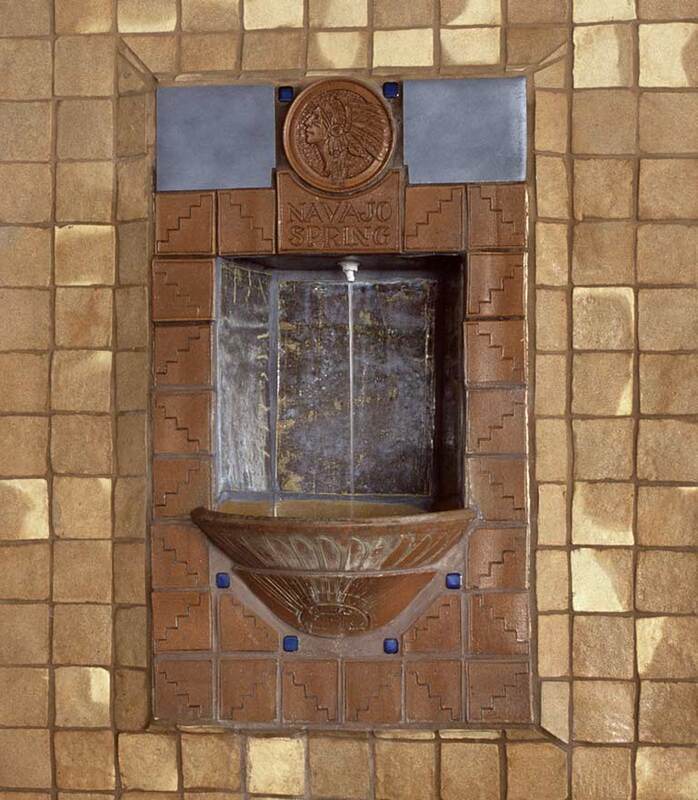 The flowstone still exists beneath the world famous Penny Arcade and Patsy’s Candies. 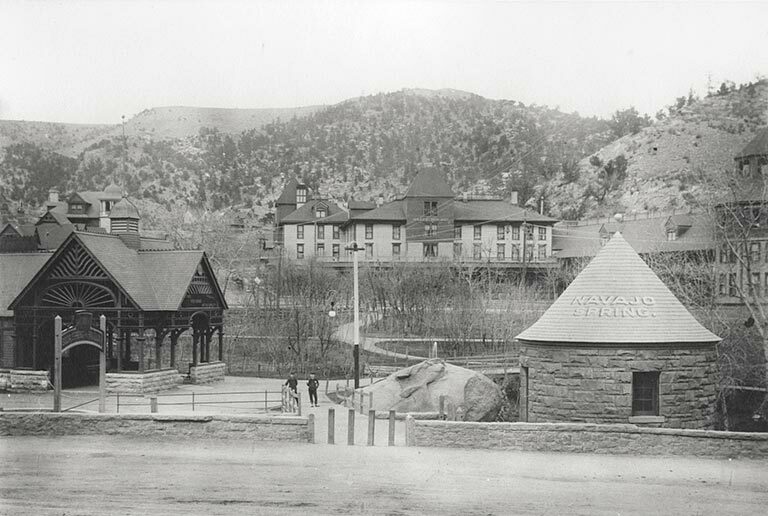 The pleasing, mild taste of Navajo Spring was as popular in the 1870s as today. 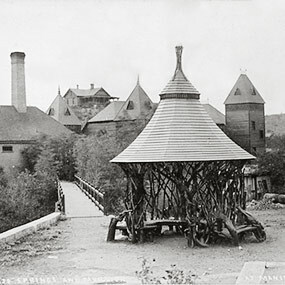 Young boys were hired to dip cups of water in these centrally-located springs to serve visitors, and as a result, the youngsters earned the nickname “dippers.” Tin cups and ladles on long chains were also fastened to the sides of the springs so passers-by could drink their fill. 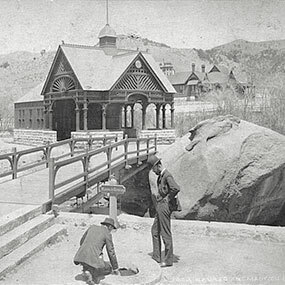 Sometime during the early 1870s, Navajo Spring was covered with a rustic gazebo made from native vegetation, and eventually a stone springhouse was constructed on the site followed by a bathhouse nearby. 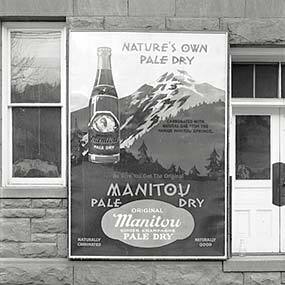 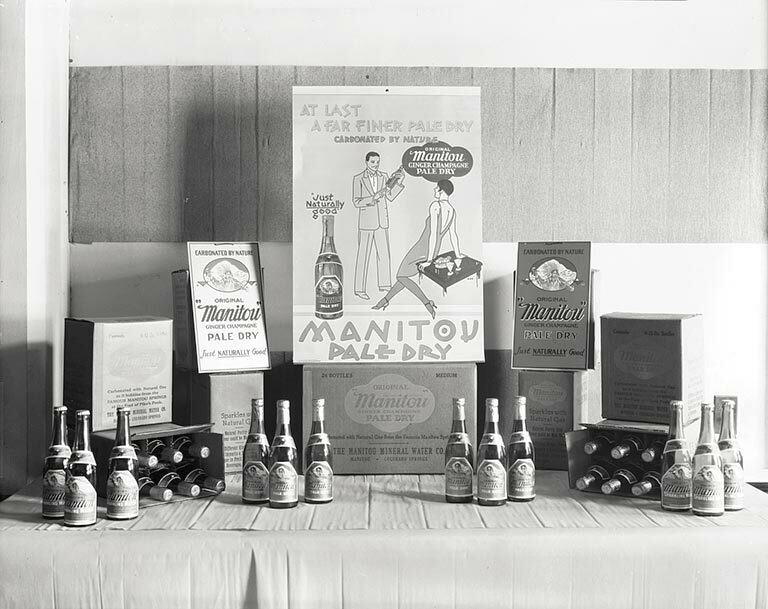 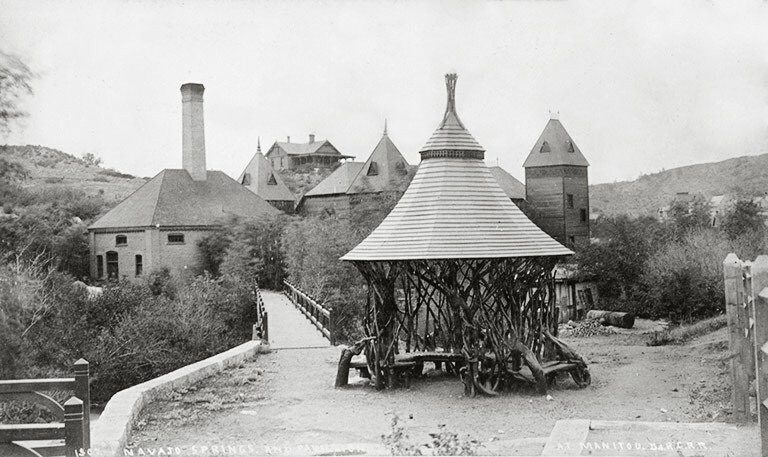 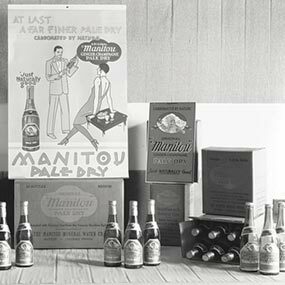 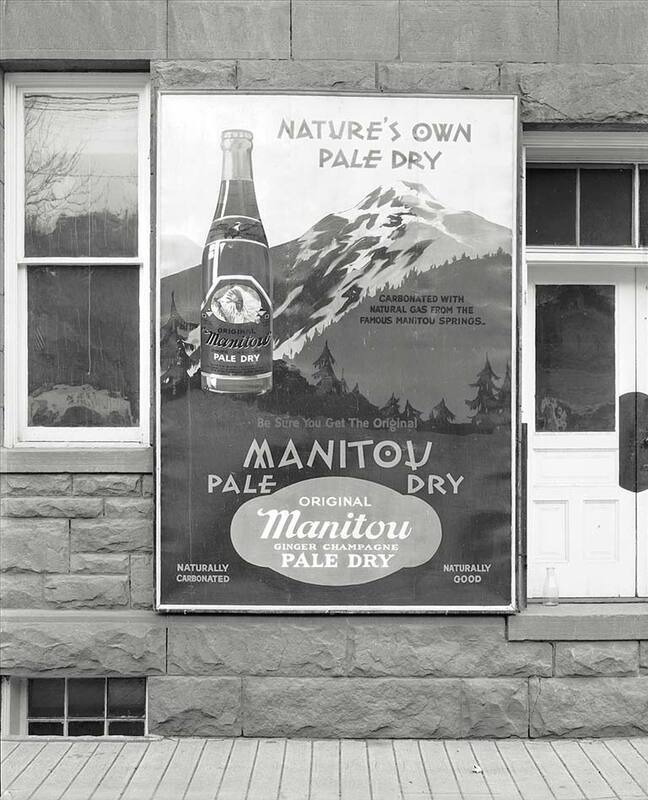 The water from Navajo Spring became the prime ingredient for Manitou Ginger Champagne, Manitou Table Water, cola drinks, and other flavors bottled and shipped all across the country by the Manitou Mineral Water Company.